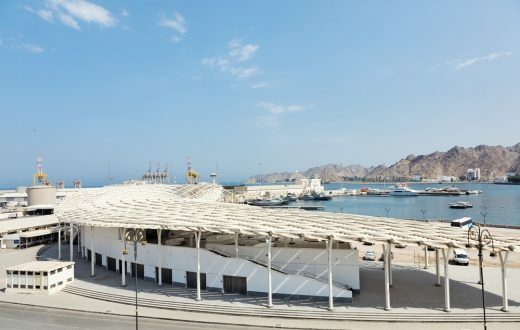 Situated at the heart of Muttrah, on Oman’s largest harbor, the new fish market is a tribute to both the past and the future of Oman. 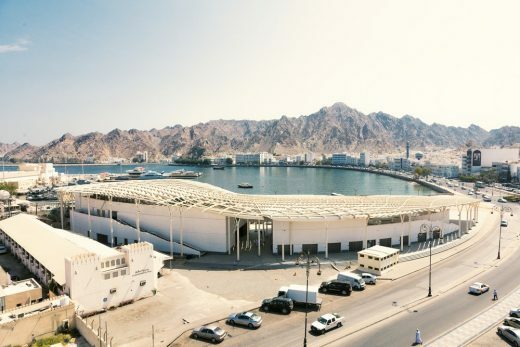 The city of Muttrah is known for its long history of commercial trade, its characteristic port, and long-standing fishery traditions. 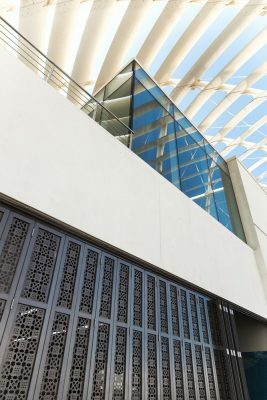 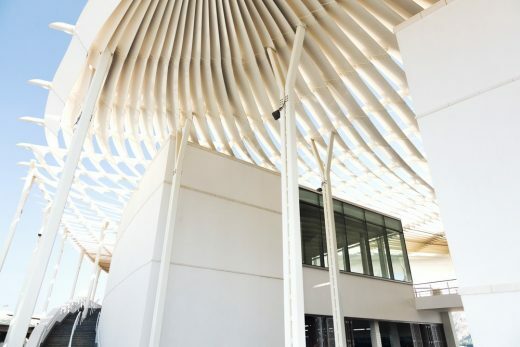 Located close to the city’s original fish market, built in 1960, the new market marks a continuity of the region’s trade and fishing traditions, while also fulfilling Oman’s need to accommodate for the country’s growing tourism industry. 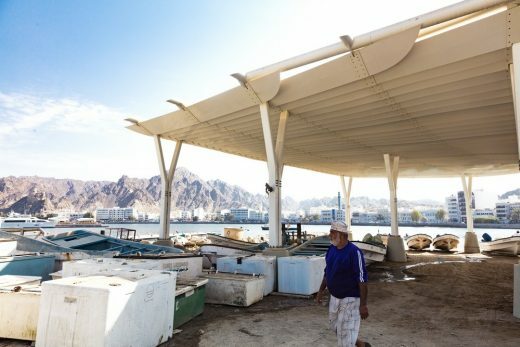 The fish market is at the heart of Mutrah, and is essential not only for the continuation of historical trading traditions but also for the needs of the growing tourism industry. 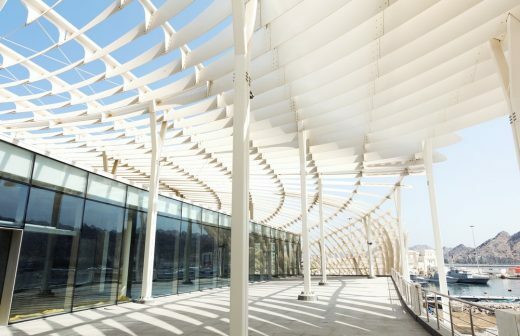 The new market enhances the public setting by forming a dynamic shaded canopy, organizing the spaces beneath, both visually and environmentally. 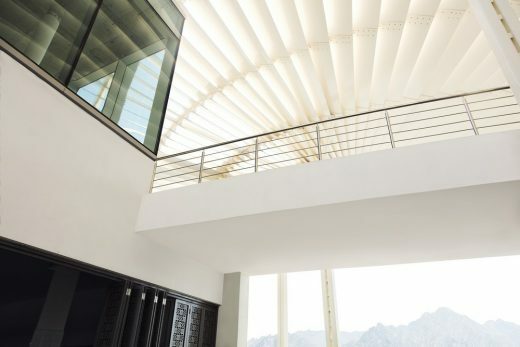 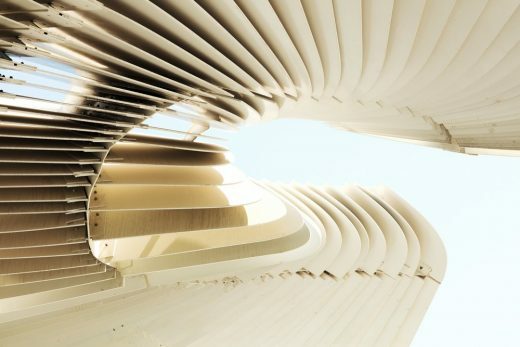 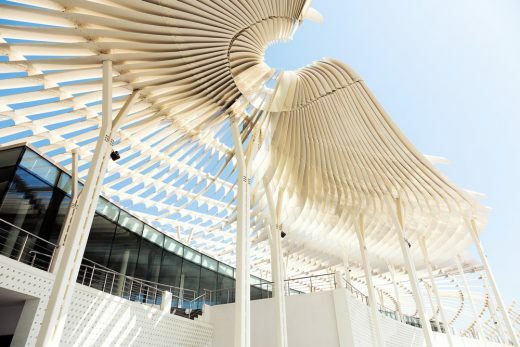 The canopy’s form is derived from the sinuous flow of Arabic calligraphy. 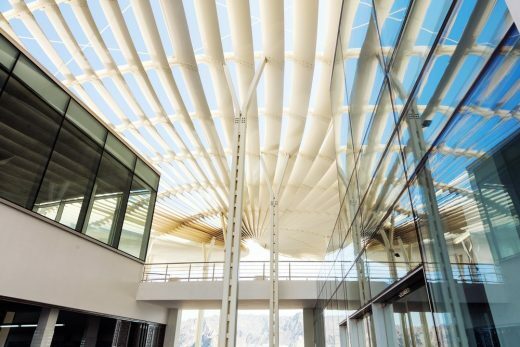 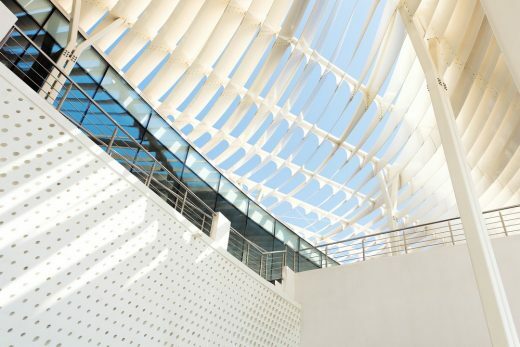 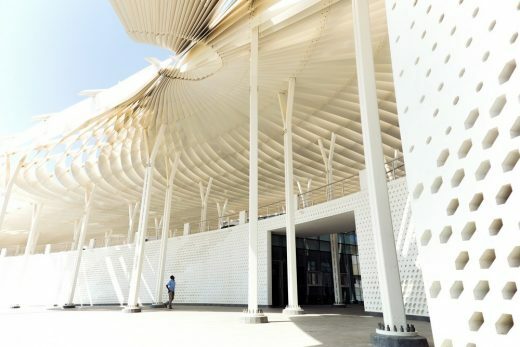 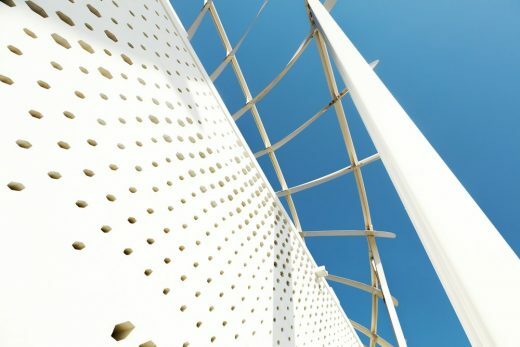 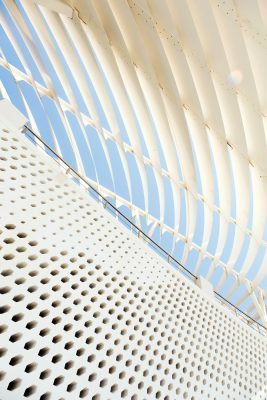 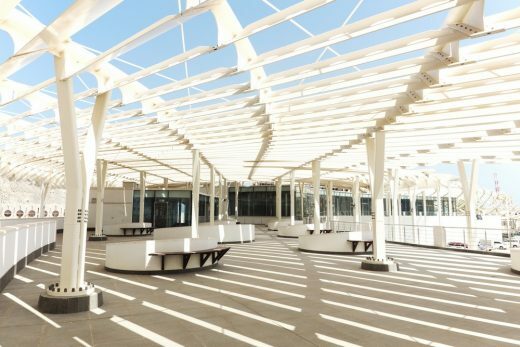 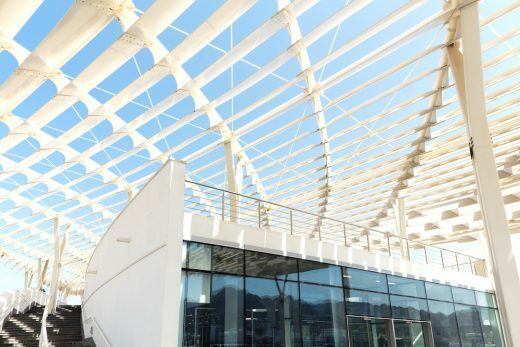 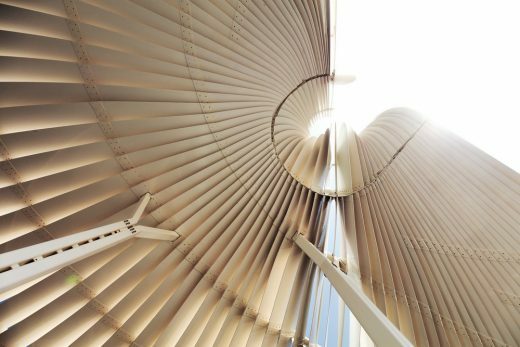 The canopy is a playful movement of light and shadow built from aluminum fins, providing shade, natural ventilation, and an ephemeral appearance. 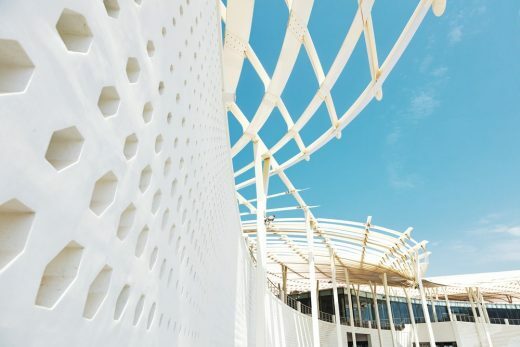 The new fish market will provide the city with a strong focal point, layering local activities, the fishing industry and tourism in Mutrah, sympathetically uniting the old and new. 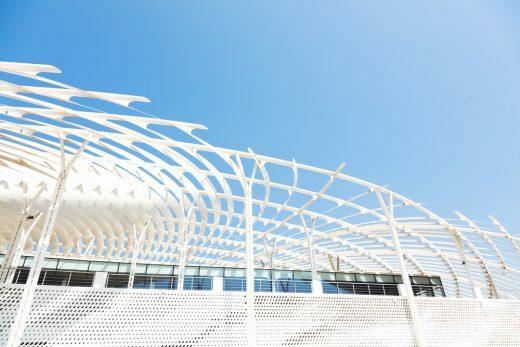 The design introduces a new landmark on the waterfront along the lively corniche in Mutrah.